Lagos State Scholarship Board invites suitably qualified candidates to apply for the state’s postgraduate scholarship award scheme for the 2017/2017 academic session. Application deadline is 23rd December, 2016. 9. Shortlisted applicant must participate in a Computer Based Test on 7th and 8th Febuary, 2017 conducted by Dragnet Solutions Limited in conjunction with Lagos State Scholarship Board. 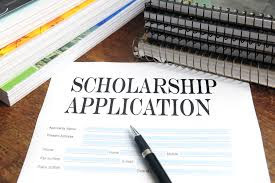 LAGOS STATE POSTGRADUATE SCHOLARSHIP METHOD OF APPLICATION. 13. Return to https://scholastica.ng/schemes/apply/5068, enter your Email and Password to download your profile and proceed to have your Head of Department sign the document.